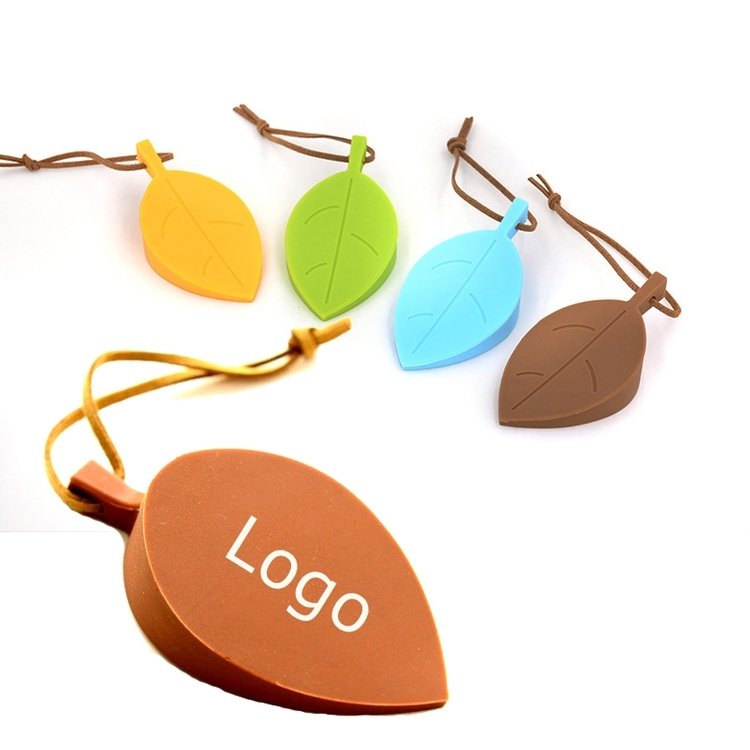 Leaf shape silicone doorstop will assist in keeping your child's fingers safe from closing doors or keep them from locking themselves in a room, there is a loop that can be hand it on the wall when you don't need. Custom logo can be imprinted with all colors. Price includes 1 color 1 side 1 location with silkscreen imprint. Package: 1 pc/poly bag, 500 pcs/ctn, 49.5 lbs/ctn.